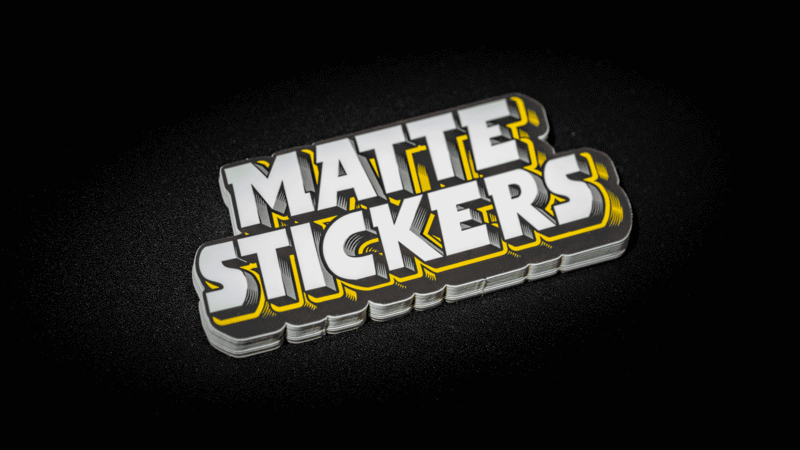 Our soft touch matte laminate gives your custom stickers a smooth and soft finish. Similar to the feel of a rose petal, this matte laminate gives your stickers a unique look and expensive feel. The satin soft touch surface gives an anti-glare finish with still preserving the vibrancy of saturated colours and rich blacks.